Pilatus has announced the first flight of its third prototype PC-24 twinjet. The March 6 maiden voyage of “series-conforming” aircraft P03, registered HB-VSA, lasted two hours and five minutes, taking off from Buochs Airport in Switzerland. P03, the last prototype, joins its two siblings in the flight-test program, which began in May 2015 when P01 first flew. Certification is expected in the fourth quarter. Capable of taking off and landing on short runways and unimproved strips, Pilatus says the PC-24 will combine the versatility of a turboprop with the cabin size of a medium-light jet. Its design boasts a cargo door as standard — a first for a business jet — and six color themes created in partnership with BMW Designworks. Business aircraft traffic in North America rose 1.3% in February, which was one day shorter than the same month a year ago. The PC-24 is branded a “super-versatile jet” by Pilatus, based on its large cargo door and its ability to take off and land on very short runways and unpaved strips. Performance figures include a maximum cruise speed of 425kt (790km/h), a maximum range with six passengers of 1,800nm (3,330km), and a maximum take-off weight of 8,050kg (17,650lb). The aircraft is scheduled for certification and service entry in the fourth quarter. SAVANNAH, Georgia, February 19, 2015 — Gulfstream Aerospace Corp. announced today that the Gulfstream G650ER has once again demonstrated its ability to go the distance by completing the farthest flight in its history. BEIJING, September 16, 2014 – The Cessna Citation XLS+ is the centerpiece of the company’s exhibit at the China International Business Aviation Show at the Flight Inspection Center of the Civil Aviation Authority of China in Beijing, China Sept. 16-18., representing its role both in Cessna’s joint venture in China and as one of the best-selling business jet models ever produced. Cessna Aircraft Company is a subsidiary of Textron Aviation, a Textron Inc. (NYSE:TXT) company. The Citation XLS+ was certified by the CAAC in April. This was a key milestone in the joint venture agreement between Cessna and China Aviation Industry General Aviation Company Ltd. (CAIGA) for final assembly and delivery of Citation XLS+ aircraft to customers in China. Cessna and CAIGA announced the joint venture in 2012 to assemble and deliver Citation XLS+ business jets and Caravan turboprops for Chinese customers. Operations in China will include final assembly, paint, testing, interior installation, customization, flight testing and delivery. The Citation XLS+ is the world’s most sought-after business jet. Business owners consistently have chosen the Citation XLS+ more than any other aircraft in the light midsize category for its unparalleled combination of comfort, ease of operation, range of mission capabilities and favorable operating efficiencies. The aircraft provides customers access from Beijing to Hong Kong and Hong Kong to Shanghai, well within a one-day trip. 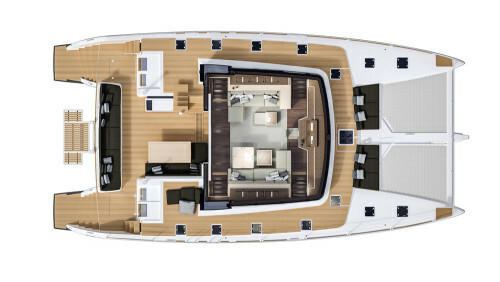 Inside is the largest cabin in its class with nearly 19 feet of length, a dropped aisle that provides 68 inches of height the entire length of the cabin and seating for up to 12 passengers. It travels as fast as 441 ktas with a range of more than 1,858 nautical miles, departing from runways as short as 3,560 feet. More than 6,600 Citations have been delivered to customers around the world since the first Cessna Citation business jet was put into service in 1972. Citations are the largest fleet of business jets in the world and have surpassed 30 million flight hours. SAVANNAH, Georgia, August 11, 2014 —Gulfstream Aerospace Corp. opened the Latin American Business Aviation Exhibition & Conference (LABACE) by announcing its fleet in Latin America has grown by nearly 70 percent since 2009. The company has its in-production fleet — the Gulfstream G650, G550, G450, G280 and G150 — at the annual air show in São Paulo. White Plains, NY, June 27, 2014 – NetJets Inc., a Berkshire Hathaway company and the worldwide leader in private aviation, together with Bombardier Aerospace, revealed today the first Signature Series™ Challenger 350 aircraft at Westchester County Airport in White Plains, NY. This event marked the official entry-into-service of the Challenger 350 aircraft. Bombardier Business Aircraft President Éric Martel presented the ceremonial keys to NetJets Chairman and CEO Jordan Hansell before unveiling the aircraft to employees and invited guests. NetJets is the worldwide launch customer for the Challenger 350 aircraft and will add eight of the jets to its fleet this year. LAS VEGAS, Oct. 20, 2013 – In its 22nd annual Business Aviation Outlook, Honeywell (NYSE: HON) is forecasting up to 9,250 new business jet deliveries worth over $250 billion from 2013 to 2022. The 2013 Honeywell outlook reflects an approximate 3 to 4 percent increase in projected delivery value over the 2012 forecast. Despite slightly lower unit deliveries, the expected value comes from pricing increases and a continued change in expected business jet delivery mix, which reflects the ongoing trend toward larger business jet models. Honeywell forecasts 2013 deliveries of approximately 600 to 625 new business jets, a single-digit decrease over levels reported last year. The reduced deliveries expected in 2013 are largely due to new program delays rather than deterioration in demand. “2014 industry deliveries are anticipated to be up modestly, reflecting recovery in supply- side constraints and some gains linked to the projected pace of global economic recovery,” said Rob Wilson, president, Honeywell Business and General Aviation. In its latest survey, Honeywell found that the operators interviewed plan to make new jet purchases equivalent to about 28 percent of their fleets over the next five years either as a replacement or in addition to the their current fleet. This level of interest has been largely stable for the past four survey cycles, and compares favorably with results of 25 percent or less that were the norm until 2006. Of those new business jet purchase plans, 19 percent are intended to occur by 2014, with larger shares of more than 22 percent each year scheduled for 2015 and 2016 purchases. The survey does not allocate specific years beyond 2016. This is slightly improved from last year’s results and leads to a modest gain in projected demand in the near term. Higher purchase expectations continue to focus on larger cabin aircraft classes ranging from supermidsize through the ultralong range and business liner, implying these types of aircraft will command the bulk of the value billed from now until 2023. This large cabin group is expected to account for more than 80 percent of all expenditures on new business jets in the near term. Volume growth between now and 2023 will be led by this class of aircraft, reflecting nearly 60 percent of additional units, and nearly 85 percent of additional retail value. Regional purchasing results are nuanced according to each market’s maturity, economic environment and other characteristics. Emerging markets generally show higher, but historically more volatile, levels of demand and a more pronounced preference for larger aircraft. As traditional regional markets have coped with economic variability and political uncertainties, key emerging markets have been shaping recent industry growth, backlog and portfolio composition. This year we see a realignment of near-term regional market shares. The overall level of forecast aircraft demand coming from inside North America has increased for the first time in recent history. This year, roughly 61 percent of projected demand comes from North American operators, up eight points from the 2012 survey. “Stronger new aircraft acquisition plans in North America are welcome news and should support industry momentum as some of the higher growth regions work through a year of modestly reduced growth rates,” Wilson said. Honeywell first began spotlighting growth in the BRIC countries (Brazil, Russia, India and China) in 2011. Last year, these results led the survey with 46 percent of respondents reporting acquisition plans. This has lowered to 42 percent in the 2013 survey, but with a strong near-term demand profile. Although last year about 40 percent of BRIC purchases were planned to happen within two years, this year 50 percent of intended purchasing activity is planned in the next two-year time frame. Together, the emerging market results from BRIC countries reflect a slight tempering of enthusiasm compared with a year ago but are still quite strong when compared with other regions, or with results accrued during the more than 20 years Honeywell has been conducting the survey. Operators in the Asia Pacific region, where many of the industry’s major players have high expectations for long-term future growth, report new jet acquisition plans equivalent to 24 percent of their fleet. This is lower than the 34 percent reported last year, and has slipped below the world average despite solid contributions from China. As a result, the total share of global demand over the next five years for Asia Pacific is about 5 percent, off two points from 2012 levels. Fleets in this region have been growing at double-digit rates throughout the past five years. This year, just fewer than 20 percent of respondents plan new purchases within the first year of the five-year horizon. When comparing purchase timing in Asia Pacific between the past two surveys, it is evident that the front-loaded profile has leveled out and that part of the overall decline in purchase plans can be attributed to receipt of aircraft ordered in prior years, aligned with moderation of past exuberance and an economic tempering affecting the region’s major economies. However, this appears to be a short-term phenomenon as most forecasts call for a relatively strong recovery in economic growth within the region as soon as next year. “It is critical to understand that survey findings from this part of the world remain based on a smaller base of operator pools and we do not believe the 2013 results represent any structural change in the region’s fundamental underlying growth drivers or commitment to business aviation,” Wilson noted. The share of projected five-year global demand attributed to the Middle East and Africa region moved toward the lower side of its historical 4-to-7 percent range this year. In the Middle East and Africa, 26 percent of respondents’ fleets are projected to be replaced or added to with a new jet purchase, down from 32 percent last year. The level of purchase plans is near the world average even though 2013 has been a year of significant political upheaval and ongoing conflict in the region. Despite the regional distress, operators in the region indicate their purchases may happen sooner in the next five-year window than expected last year, with about 47 percent of purchases planned before 2016. Latin America’s survey results indicate 39 percent of the sample fleet will be replaced or added to with new jet purchases, which is unchanged versus last year’s result. Furthermore, planned acquisitions remain more front-loaded than the world average, with almost 52 percent of this region’s projected purchases timed to happen within the next three-year period. As with the Asia Pacific market, backfilling appears to have eased, albeit to a lesser extent. As a result of the high purchase plan levels, Latin America’s share of total projected demand held steady compared with a year ago at 18 percent. North America, the industry’s mainstay market, has seen new jet purchase plan levels improve — about three points — to the world average of 28 percent after averaging near 25 percent for the past six years. Though buying plan levels might be moderate when compared with emerging markets, North America represents more than half of projected global demand for the next five years based on the region’s historically dominant installed business jet base, affirming the region’s indisputable importance to the industry’s future. Timing of North American acquisitions has been deferred compared with other regions, suggesting that despite improved aggregate five-year interest levels reported by potential purchasers, short-term conversion plans could be moderate until 2015–2016. Europe’s purchase expectations declined this year, to 25 percent, and are below the 30 to 33 percent levels seen in the previous three surveys. The European share of estimated global five-year demand fell by six points to 12 percent in the 2013 survey. The resilience previously shown by European operators in the face of lackluster economic conditions may have reached the point of fatigue with weak growth prospects expected for 2014. Russia, which has supported the region with strong local purchasing ambitions, has slipped in reported purchase plans in the 2013 survey as well. We must note that Russian responses in this year’s survey were limited, so the small sample has added an element of volatility not present in prior surveys and may be understating the true demand for the region. A comparison of the planned timing for European purchases indicates fairly even proportions of demand in the next three years of the five-year window, averaging about 20 percent per year. Shifting from jet purchases to flight activity, over the course of the past year the pace of recovery has been mixed. Much of the ground lost by operations during the 2009 recession still remains to be recaptured, but modest improvements in international flight activity and in U.S. operations in general have been seen in recent months. Among the indices followed by Honeywell, pre-owned jets for sale and flight activity merit special attention. The number of pre-owned jets for sale today has risen slightly from a year ago. Approximately 12.5 percent of today’s fleet is up for resale, down from a high of nearly 16 percent reached in 2009. Current levels are almost normal in light of the past decade’s history, but more reduction has been elusive recently despite declines in used aircraft asking prices. Younger inventory (10 or fewer years old) usually makes up less than 20 percent of what is for sale, but this year its ranks still hovered around a quarter of all listings. This is down from record averages of about 30 percent reached in 2009. In 2013, improvements remain stalled, adding another cautionary note to overall market trends. On a positive note, respondents did increase their used jet acquisition plans moderately in this year’s survey by about six points, equating to 26 percent of their fleets in the next five years. All regions posted increased used jet buying plans except Africa and the Middle East. Prospects for improved levels of flying activity in the near future are modest. Honeywell expects U.S. business jet cycles to close this year with a small expansion of about 1 to 2 percent, mostly attributed to international flight growth and by relatively strong charter operations. Next year should bring growth in the low single digits, presaging a slow, multiyear path back to historical normalcy. European activity in 2013 — which does not include Russia in this case — is expected to decline approximately 3 percent. International flights (outside the EU) are actually positive thus far this year. Modest growth is expected in 2014, driven in part by improved economic prospects in Western Europe but also a stronger outlook for Eastern Europe. Within the survey, operator reported planned changes in business jet utilization were mixed with plans to fly more in North America and Africa and the Middle East contrasting with more neutral stances in other regions. Flight activity for charter-like operations and fractional ownership appears to be doing relatively well in the U.S. but not translating into many new aircraft deliveries yet. Fractional operators have taken only 20 new jets this year. NetJet’s large order of 225 aircraft from Bombardier and Cessna last year boosted backlog figures, and additional orders including Directional Aviation’s 85 aircraft order this year should impact delivery performance favorably beginning in 2014 based on delivery schedules. In this year’s survey two common themes emerged from operator responses around the world. Demand from developing markets, while significantly higher than mature markets, continues to reflect cooling short-term economic conditions and, in some cases, regional turmoil. In addition, government responses to budget growth, debt, and aircraft-related legislation and regulations in all areas of the world remain as factors influencing near-term purchase plans. Operators in every region expressed concerns over the regulatory environment — particularly duty cycles, time of day use restrictions, air traffic modernization efforts, and user fees and tax laws. Still, when looking ahead, most operators surveyed believe that local economic growth will be stable or improve in the near term. Honeywell’s forecast methodology is based on multiple sources including, but not limited to, macroeconomic analyses, original equipment manufacturers’ development plans shared with the company, and expert deliberations from aerospace industry experts. Honeywell also taps into information gathered from interviews conducted during the forecasting cycle with over 1,500 nonfractional business jet operators worldwide. The survey sample is representative of the entire industry in terms of geography, operation and fleet composition. This comprehensive approach provides Honeywell with unique insights into operator sentiments, preferences and concerns and provides considerable insight into product development needs and opportunities. Flaris, a Polish company, introduced its prototype single-engine personal jet at the Paris Air Show this week. The all-composite airplane reportedly has begun taxi tests and first flight is expected soon. Polish company Flaris has surprised the aviation world by introducing the prototype of an unannounced five-seat jet at the Paris Air Show this week. In what is a clear throw-back to the very light jet (VLJ) concept, the LAR-1 is a single-engined jet designed for personal transport with a target price of $US1.5 million. The prototype has already completed low-speed taxy tests with the high-speed test due shortly. The company is aiming for the first flight by the end of the year and FAR 23 certification by 2015. Of all composite construction, the LAR-1 is futuristic in design and with several unique features including a ballistic parachute system in the nose and detachable wings. The aircraft at Paris is fitted with a Pratt & Whitney 610F engine giving 1460 lb of thrust, but the company expects to offer customers options for the 615F, Williams or Price Induction engine as well. Behind the LAR-1 is Flaris’ parent company Metal Masters, which is thought to be funding the project purely from cash flow. For more information on this ambitious aircraft, see the Flaris website. SAVANNAH, Ga., June 17, 2013 — The Gulfstream G650 demonstration aircraft landed at Paris-Le Bourget Airport for the 50th annual Paris Air Show with three new city-pair records on its résumé: Savannah to Paris; Nice, France, to São Paulo; and Las Vegas to Madrid, Spain. The records are pending confirmation by the National Aeronautic Association (NAA). The most significant record was a 3,899-nautical mile (7,221-km) sprint between Savannah and Paris that broke a record held for 25 years by the Gulfstream GIV. The G650, with three crew members and five passengers on board, accomplished the flight from Savannah/Hilton Head International Airport to Paris-Le Bourget in 7 hours and 12 minutes, shaving more than an hour off the GIV’s time of 8 hours and 16 minutes. The aircraft flew at an average speed of Mach 0.90. The Savannah-Paris record follows two others pending confirmation with the NAA. The ultra-large-cabin, ultra-long-range G650 took off from the Cote d’Azur Airport in Nice at 11:21 a.m. local time on May 26 with three passengers and four crew members on board. Its average speed for the 5,527-nm (10,236-km) trip was Mach 0.90, with cruising altitudes reaching as high as 47,000 feet (14,326 m). The aircraft landed in São Paulo at 5:31 p.m. local time for a total flight time of 11 hours and 10 minutes. Three weeks earlier, the aircraft accomplished a similar feat between Las Vegas and Madrid, making the 4,940-nm (9,149-km) journey in 9 hours and 14 minutes. The aircraft left McCarran International Airport in Las Vegas at 11:16 p.m. local time on May 8. It arrived at Madrid-Barajas Airport in Spain at 5:30 p.m. local time the next day, averaging Mach 0.90. “Each of the records was extraordinary in its own right and shows our customers that the G650 is a superlative aircraft that will help them achieve more, regardless of the mission,” Neal said. The G650 demonstrator, which entered service in January 2013, has visited 75 cities in 27 countries as of May 31. It has flown 334 hours, covering more than 142,900 nm (264,651 km). The G650 has a maximum range of 7,000 nautical miles (12,964 km) at Mach 0.85, enabling longer intercontinental flights in less time than current ultra-long-range business jets. Its range at Mach 0.90 is 6,000 nm (11,112 km). Its max speed is Mach 0.925. SAVANNAH, Ga., May 20, 2013 — Gulfstream Aerospace Corp.’s G280 aircraft recently traveled to Africa as part of the super mid-sized business jet’s yearlong world tour. En route, the aircraft set three city-pair records, including one from Luton, England, to Lagos, Nigeria. The aircraft left London Luton Airport at 7:44 a.m. local time with two passengers on board. It landed at Murtala Muhammed Airport in Lagos 6 hours and 32 minutes later. Its average speed for the 2,948-nm (5,460 km) flight was Mach 0.81. The aircraft set two additional city-pair records during the African leg of the tour, including one from Libreville, Gabon, to Casablanca, Morocco, and another from Casablanca to Amsterdam. The aircraft traveled the 2,755-nm (5,102-km) between Libreville and Casablanca in 6 hours and 11 minutes at an average speed of Mach 0.82. It covered the 1,344 nm (2,489 km) between Casablanca and Amsterdam in 3 hours and 3 minutes, with an average speed of Mach 0.82. Since entering service in December 2012, the G280 demonstrator has visited 109 cities in 36 countries. It has accumulated more than 400 flight hours and covered more than 132,000 nm (244,464 km). The G280 is powered by twin Honeywell HTF7250G engines, each of which provides 7,624 pounds of thrust. These fuel-efficient engines feature reduced emissions, longer maintenance intervals and decreased noise levels. They also offer excellent climb performance, propelling the G280 to FL410 in less than 20 minutes. The aircraft has a maximum range of 3,600 nm (6,667 km) at Mach 0.80. The three city-pair records are pending confirmation with the National Aeronautic Association. Rich people are taking to the air again, according to Berkshire Hathaway. Read the Rest of Silvia Ascarelli’s excellent article. . . Many people like to travel with their friends and relatives – when you are surrounded by people whom you know, it is not so lonely or daunting to be in a new country, and the journey becomes more fun and interesting. But sometimes it is necessary to move around the world with a bigger group: work colleagues or the members of the sports team (if you are playing soccer or basketball). The worst thing is if you are not only a member of a team but also the person who has to organize a trip. Arranging rooms in a hotel, booking the tickets – all of these things could be complicated as you never know whether there are enough rooms, whether the hotel meets everyone’s needs and whether you can book seats on the same flight. But even if you made all the bookings successfully, the trip itself is not an easy thing. In big airports it is often impractical to look after all members of your group at the same time. Even grown ups often behave unpredictably – one member of the group decides to buy a morning newspaper, another goes in the opposite direction to find a restroom, a third one can’t fly without having a cup of coffee and a fourth is a fan of the shiny bottles in the duty free shop. Before long half of the group has disappeared at the airport and there is no chance to find them on time. Somebody could even miss the flight. The best way to solve this problem – to arrange a private jet charter for such trip. 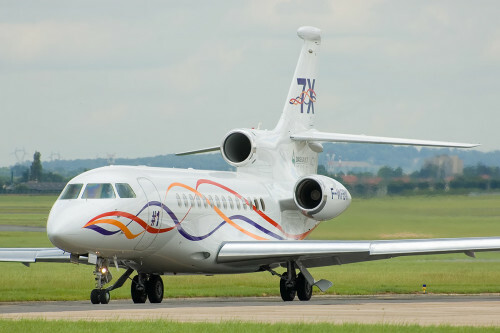 It would be a mistake to think that a business jet could carry just a small group of people, not more than 10 or 15. It is possible to find a Boeing Business Jet, for example, to take more than 15 people. As the private charters don’t have some special timetable it will be possible to arrange the time of flight that is convenient for most of the group. Of course, the private jet can’t wait for one person from a big group for half a day, but a small delay won’t become a big problem. As the jet charters can land in small airports the group won’t lose itself in the crowds in a big building. Written by Polina Medvedeva in association with Quintessential Jets Inc. – Corporate Private Jet Charter Flights Services. Quintessential Jets delivers a new way of experiencing private jet travel by providing personal, exclusive, VVIP service. We at Quintessential jets will provide you with the correct charter aircraft to transport you in comfort, safety and convenience whether you require a 1 to 14 seat VIP configured business jet or an 25 to 100+Jumbo Jet for your entourage or team. As always we provide you five-star service with better than first class experience on every flight. Our dedicated flight team will manage every aspect of your trip. We follow from the limo-ground transportation to and from your private jet to the luxury accommodations for your overnight stay to the onboard amenities, we provide it all. We provide free custom private jet charter service quotes. Gulfstream celebrated a milestone for the fleet leaders of its mid-sized G150 aircraft. The two G150s, which are owned and operated by a U.S.-based multinational energy company, recently combined to surpass 10,000 flight hours. This achievement was accomplished without incident and took only five years. The G150, which entered service in August 2006, has the best range, speed and fuel efficiency in the mid-size class of business jets. Gulfstream’s fleet of 100 G150s comprises operators in the U.S., Canada, Central America, South America, Europe and Asia. The fleet has accumulated more than 130,000 flight hours and made more than 90,000 landings. The G150 has an availability rate of 91.96 percent and a dispatch reliability rate of 99.83 percent. Powered by a pair of Honeywell TFE731-40AR engines, the G150 has a range of 3,000 nautical miles (5,556 km) at Mach 0.75. It is also distinguished by its advanced avionics suite and quiet, comfortable cabin that seats up to eight passengers. The G150 is certified to meet the steep-approach landing criteria at several airports worldwide, including London City. It is certified in more than 40 countries, including the U.S., Brazil, Canada, China, England, Germany, Israel, Mexico and Switzerland. Gulfstream’s G280 aircraft received type certification today from the European Aviation Safety Agency (EASA). The certification recognizes that the super mid-sized aircraft demonstrates compliance with EASA airworthiness and environmental requirements. It is one of the final steps required for the G280 to be registered in a European Union country. The G280, a joint effort between Gulfstream and Israel Aerospace Industries, earned its type certification from the U.S. Federal Aviation Administration (FAA) and Civil Aviation Authority of Israel on Aug. 30, 2012. It entered service on Nov. 13, 2012. The aircraft’s range is 3,600 nautical miles (6,667 km) at Mach 0.80. Its balanced field length is 210 feet less than originally announced, which enables it to take off from runways of 4,750 feet (1,448 m) or less. That is an improvement of more than 1,300 feet compared to the G200, the aircraft the G280 replaces. The G280 has a maximum operating speed of Mach 0.85. Advanced technology is also part of the G280’s appeal. The PlaneView280™ cockpit, the most advanced flight deck in its class, improves safety through reduced pilot workload and improved situational awareness. The G280 is also environmentally efficient, burning less fuel and producing fewer emissions than other super mid-sized aircraft. It is quiet, with certified noise levels 15.8 decibels below FAA Stage 4 requirements. 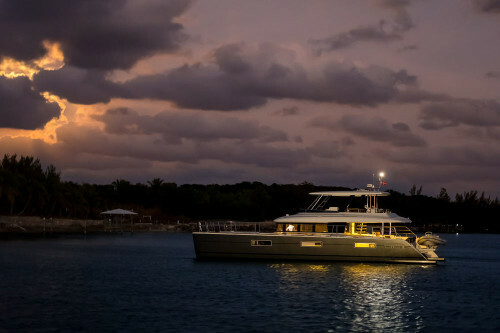 With its spacious cabin, the G280 can provide seating for up to 10 in two living areas. Passengers have in-flight access to the baggage compartment. The Gulfstream Cabin Management System enables them to easily control the cabin environment and high-definition entertainment equipment with a handheld device such as an iPod Touch. Gulfstream ‘ss new best-in-class G280 aircraft recently set 15 new city-pair speed records as part of the company’s reliability demonstration program. The 250-hour internal testing program, among the most extensive voluntary reliability programs ever implemented by Gulfstream, served to enhance fleet reliability, enrich pilot training and improve customer readiness. Of the 15 new city-pair speed records set as part of the program, the most notable were a flight from Aspen, Colo., to Fort Lauderdale, Fla., and one from Honolulu to Savannah. The super mid-sized aircraft has established 22 speed records since setting its first in May. The G280 flew from Aspen-Pitken County Airport to Fort Lauderdale-Hollywood International Airport in 3 hours and 21 minutes. It flew 1,640 nautical miles (3,038 km) at an average cruise speed of Mach 0.84. On board were demo pilots Santiago Koritschoner, Brian Erickson and Stephanie Ruyle. Also in November, the G280 flew from Honolulu to Savannah in 8 hours and 19 minutes, a total of 4,124 nautical miles (7,638 km) at an average speed of Mach 0.80. On board were Brian Dickerson, senior production test pilot; Scott Evans, engineering test pilot; and Scott Blouin, avionics and electrical technician. The city-pair speed records have been certified by the National Aeronautic Association, the official record keeper for U.S. aviation, and forwarded to the Federation Aeronautique Internationale in Switzerland for approval as world records. The G280 is certified to fly 3,600 nm (6,667 km) with four passengers at Mach 0.80 with NBAA IFR reserves, some 200 nm farther than the company announced at the program’s launch in 2008. In addition to more range, the aircraft’s balanced field length has been reduced from 4,960 feet (1,512 m) to 4,750 feet (1,448 m). This field length is an improvement of more than 1,300 feet compared to the G200, the aircraft the G280 replaces. The aircraft entered into service on Nov. 14, 2012. CHARLOTTE, NC, January, 23, 2013 — Cessna Aircraft Company, a Textron Inc. (NYSE: TXT) company, announced today a strategic partnership with Chip Ganassi Racing Teams (CGRT) for multiple races in the NASCAR Sprint Cup Series, the IZOD IndyCar Series and the GRAND-AM Rolex Sports Car Series. This partnership extends Cessna’s presence across all three series in which CGRT competes. WICHITA, Kan., Jan 10, 2013 – Cessna Aircraft Company, a Textron Inc. (NYSE: TXT) company, today announced that the Citation M2 has commenced its initial production run in the company’s Independence, Kansas facility. The front and aft cabin assemblies for the light business jet are built at Cessna’s Wichita, Kansas facility and are then transported to Independence for final assembly and delivery. Other Cessna aircraft expected to hit the market in 2013 include the new Citation X, the world’s fastest civil aircraft at Mach .935, the new Citation Sovereign, the Jet-A fueled Turbo Skylane JT-A, the TTx, and the Grand Caravan EX. The nearly 500 full time Cessna employees at the 500,000 square foot Cessna Independence facility are trained to assemble, paint, and install interiors on the majority of Cessna single engine piston models including the 172 Skyhawk, the 182 Skylane and the 206 Stationair. Opened in July of 1996, the Independence facility also manufactures the Citation Mustang and celebrated its 10,000th aircraft delivery during 2012. Flight test and customer deliveries are also handled out of the Independence location. SAVANNAH, Ga., January 3, 2013 — Gulfstream Aerospace Corp. recently named Steve Cass vice president, Communications. Cass will oversee internal and external communications at Gulfstream, reporting to Scott Neal, senior vice president, Sales and Marketing. Prior to being named vice president of Communications, Cass worked at Gulfstream as director, Sales Support. In that position he was responsible for coordinating activities at the Savannah Sales and Design Center; the Sales Development and Sales Engineering groups, where he supported new aircraft sales worldwide; and the Technical Marketing group, where he assisted with new product development programs and product enhancements. Since joining Gulfstream in 1992, Cass served in Preliminary Design Engineering, where he worked on the GV program, various aircraft design studies, special mission aircraft, sales support and world record analyses. In 1998, he became manager of Technical Marketing, overseeing a team to develop and present technical and competitive information for use in the marketing and selling of Gulfstream aircraft and supporting the sales team worldwide. Before coming to Gulfstream, Cass worked for five years at Rockwell International in aircraft conceptual design. He is a Leadership Savannah graduate and an Associate Fellow of the American Institute of Aeronautics and Astronautics. He graduated in 1987 from Cal Poly Pomona with a degree in aerospace engineering. SAVANNAH, Ga., December 21, 2012 — Gulfstream Aerospace Corp. recently received two important certifications for its new flagship aircraft, the ultra-large-cabin, ultra-long-range G650. The company received the Production Certificate (PC) from the U.S. Federal Aviation Administration (FAA) Atlanta Manufacturing Inspection District Office. Gulfstream also earned a Type Certificate for the G650 from the European Aviation Safety Agency (EASA). The PC was obtained on December 20, 2012, and confirms that Gulfstream’s production processes for the G650 are in compliance with Federal Aviation Regulations Part 21. The FAA issued the PC after Gulfstream completed an extensive FAA Production Certificate audit conducted by the Gulfstream Organization Designation Authorization (ODA) office, which examined Gulfstream’s engineering, supplier, manufacturing and quality systems to assure the aircraft are produced in accordance with their design. The G650 earned its FAA Type Certificate on Sept. 7, 2012. The aircraft also has Type Certificate validations from Bermuda and the Isle of Man. The G650 has the largest cabin and can fly farther and faster than any other purpose-built business jet. The aircraft can travel 6,000 nautical miles (11,112 km) at its high-speed cruise of Mach 0.90. This is a 1,000-nm (1,852-km) increase over the original target of 5,000 nm (9,260 km). 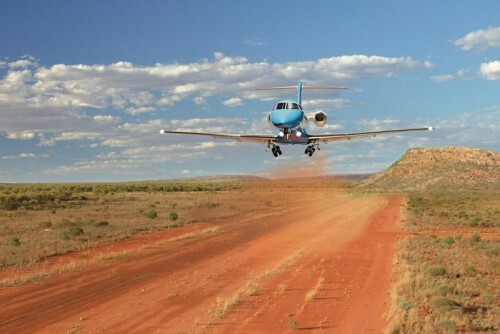 At its long-range cruise speed of Mach 0.85, the G650 can fly 7,000 nautical miles (12,964 km). The G650 has a maximum cruise speed of Mach 0.925, making it the fastest certified civilian aircraft in production.